"Birdsong" Too deepens your creative options for your background papers. We know that you will want to create several projects with this illustrious kit and we want to be sure you have options!! These background papers are NOT included in the FQB "Birdsong" Collection! 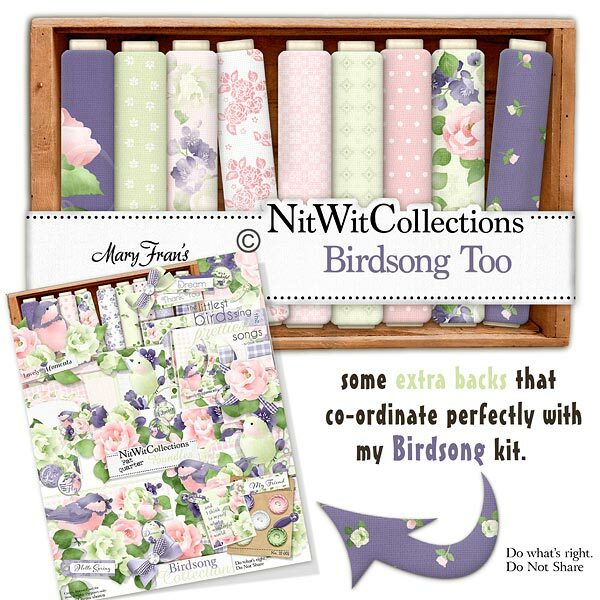 16 Digital background papers that coordinate and colour match my FQB "Birdsong" Collection.